The Chamber Ambassador Program plays a very important role in the day to day operation of the chamber and is a key component to the chambers success. With only two full-time employees, it is very important to have a group of reliable and dedicated volunteers to assist with the many events the chamber has each year. 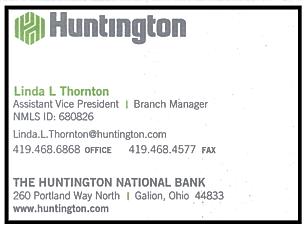 • Actively recruiting Chamber members and retaining existing members. 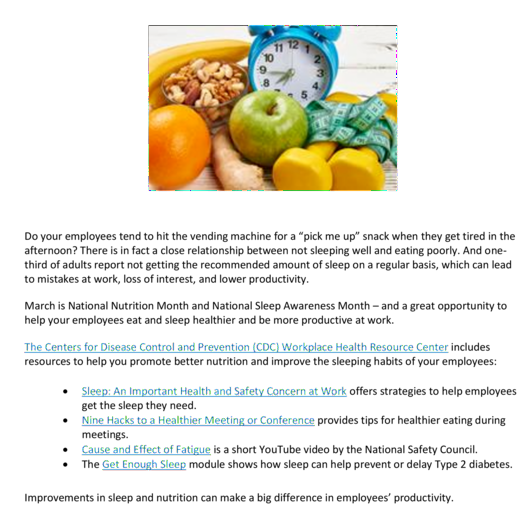 • Staying informed about Chamber events, projects, initiatives, events and goals. • Attending and networking at Chamber events. • Representing the Chamber at ribbon cutting ceremonies, ground breaking events, and other special events. • Supporting the mission of the Chamber by serving as a liaison between the membership, the Chamber staff, and board. • Working closely with the Chamber staff and assisting with Chamber events. Melissa Miller is currently serving as the Chamber Ambassador Chair, and ambassadors include; Andee Wildenthaler, Angie Owens, Betsy Beaudet, Crystal Ebner, Denise Livingston, Eric Palmer, Jennifer Kuns, Jim Gerstenslager, Kitty Herold, Pennie Fox, Sarah Capretta and Tasha Nickler. We would like to say "Thank you" to our Ambassadors for volunteering their time to the chamber! JOIN US FOR A CUP OF COFFEE & CONVERSATION! Don't miss this great networking opportunity. Free and open to everyone. The topic is never the same. Grab a seat, enjoy light refreshments and relax as you socialize and meet other area business leaders and decision makers. 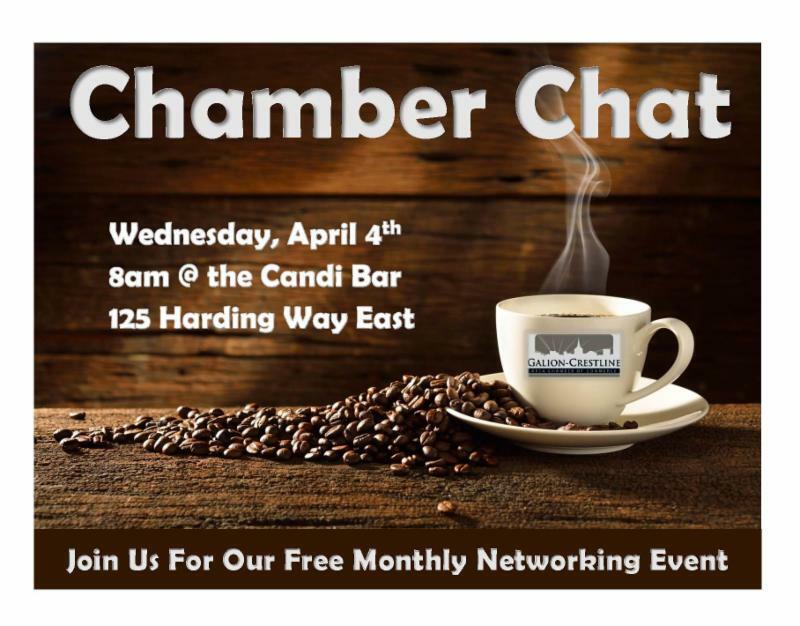 Chamber Chat is held the first Wednesday of every month at 8am at the Candi Bar in Galion, located at 125 Harding Way East. Do you know of an individual or business that had a great year in 2017? Do you feel they should be recognized as a leader in the community? Please take the next 5 minutes to complete this nomination form to recognize their contributions to the community in 2017. Click HERE to complete nomination online form. Thank you for taking the time to complete our nomination form. We value your feedback. 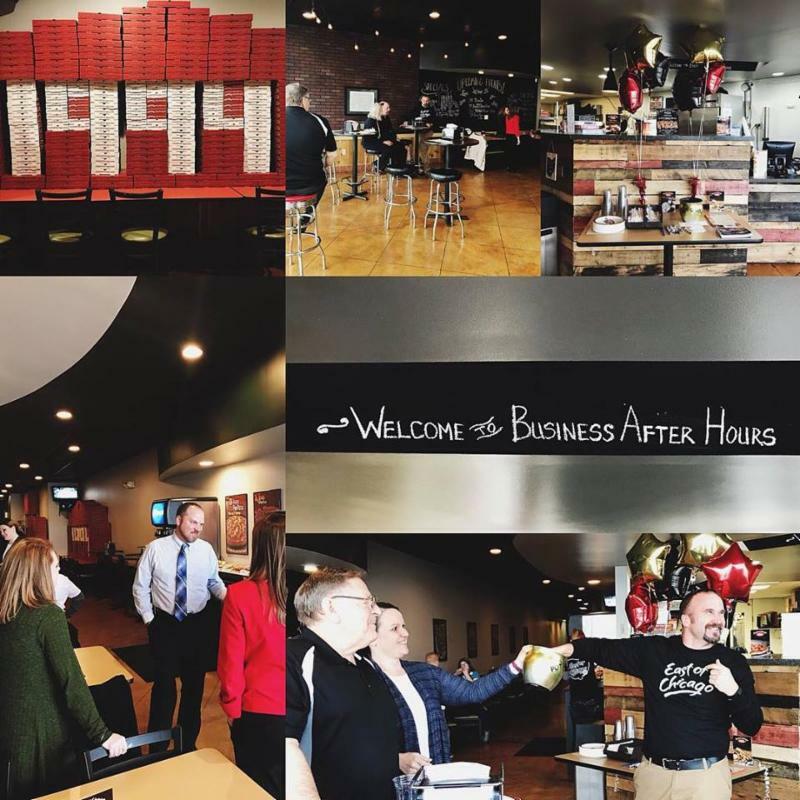 Chamber members gathered at East of Chicago on Carter Dr. for a “Business after Hours” on March 15 th from 5:00 pm to 7:00 pm. Guest were welcomed in the newly remodeled dining area where they enjoyed some great food and drinks provided by owners Jessica and Jared Thew. Business cards were drawn for a pizza for a year (one per month) at 6:00 pm and at 6:30 pm. Winners were Carrie Cottrell of Cleaning by Carrie and Rob Bean of Impression Press. 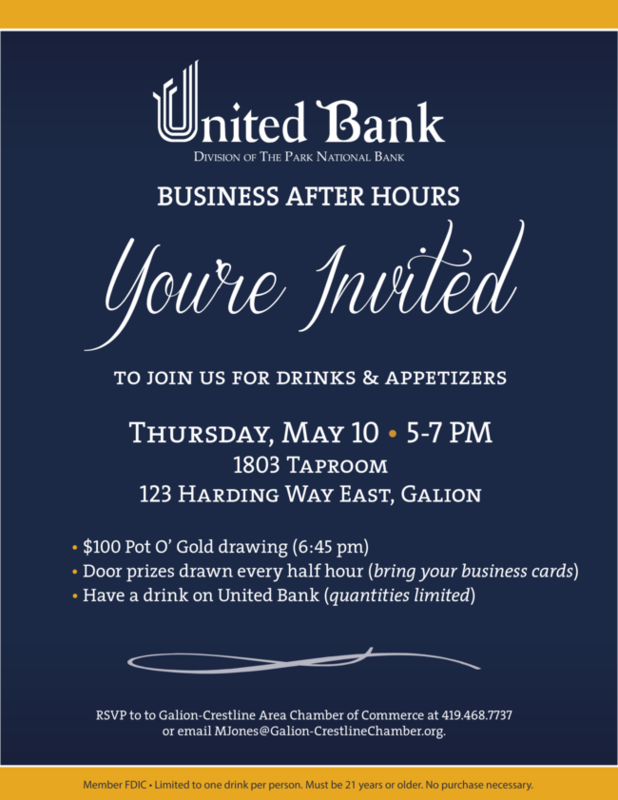 Our next Business after Hours is scheduled for May 10 th at 1803 Tap Room in Galion and will be hosted by United Bank of Ohio. 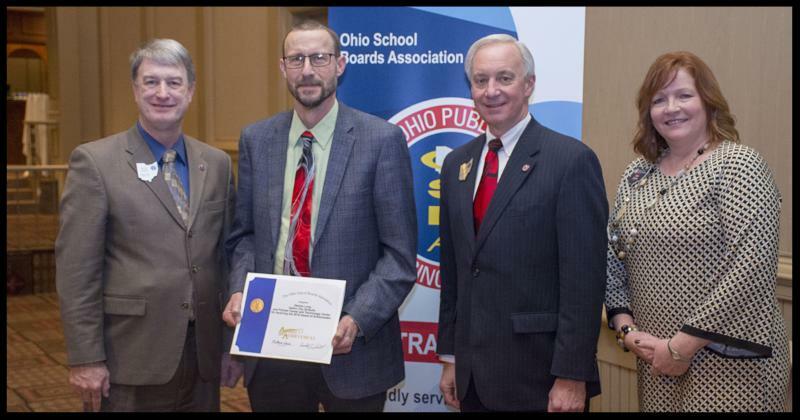 Galion City School District: Board of Education member Mr. Dennis Long was presented with an Award of Achievement from the Ohio School Boards Association (OSBA) during its annual Central Region Spring Conference in Columbus March 7. 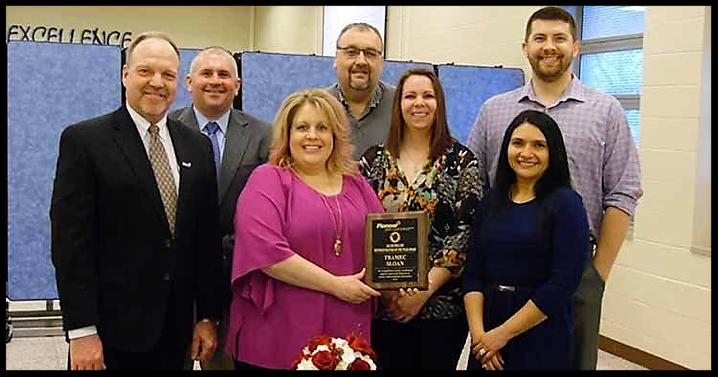 Tramec Sloan: was recently named the 2018 Ralph Phillips Business Partner of the Year at the 13th Annual Awards diner at Pioneer Career and Technology Center in Shelby. 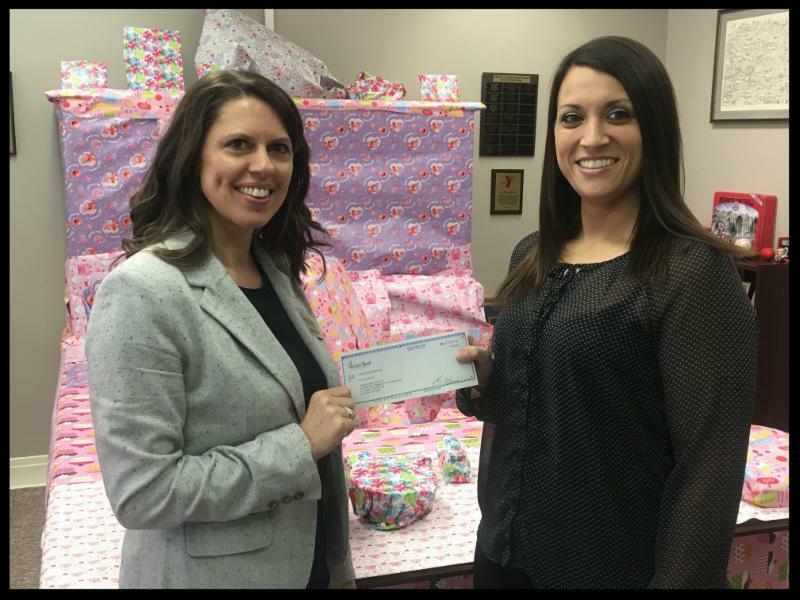 United Bank: recently presented a check to Sarah Capretta for a donation to the 2018 Pickle Run Festival to be held in Heise Park July 6th & July 7th. 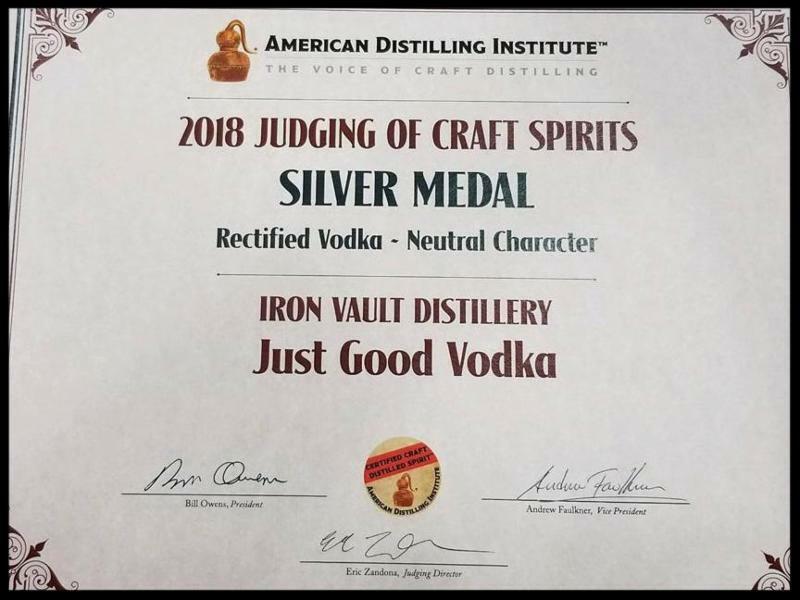 Iron Vault Distillery: was recently named awarded Silver for their Just Good Vodka and Bronze for their Moonshine out of 1000 entries worldwide at the American Distilling Institute Conference. Galion KFC: recently awarded the Crawford County Public Health's annual Food Safety Award. The completion of the 2017 food licensing year marked the fifth year CCPH has been recognizing local food operations for exceptional food safety practices. CCPH further acknowledged five facilities consistently receiving a food safety award all five years, Galion KFC being one of those five facilities. 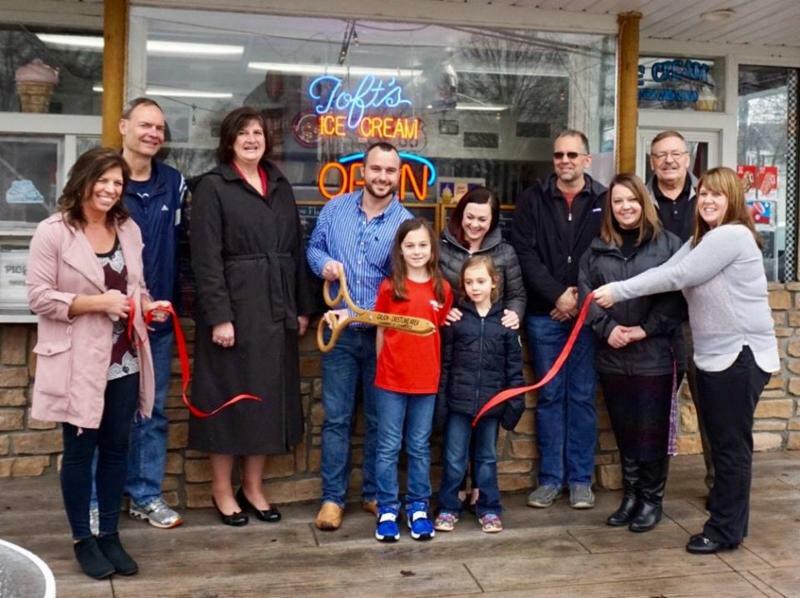 The Chamber held a ribbon cutting March 30th at Freezer Fresh Drive-In , 820 W. Main Street, Crestline to welcome new owners Troy & Cathy Sapp to the business community! Stop in and grab a sweet treat and welcome them to Crestline! Doors open at 8:00 a.m. | Program from 9 a.m. – 4 p.m. The theme of this year’s conference is “Lead Yourself.” What does it look like to lead yourself? How can you intentionally develop your own leadership skills and style? What qualities do you hope to embody as a leader? 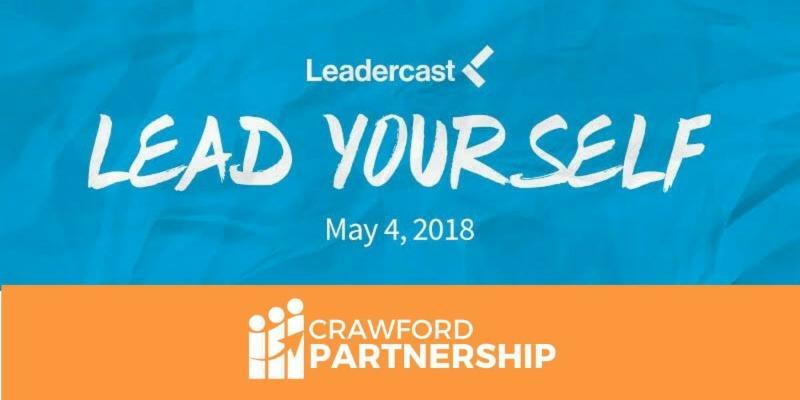 In addition, we'll have local breakout speakers and other interactive activities to make Leadercast unique to our community. Lunch will be catered by Ralphie's, and refreshments will be provided throughout the day. 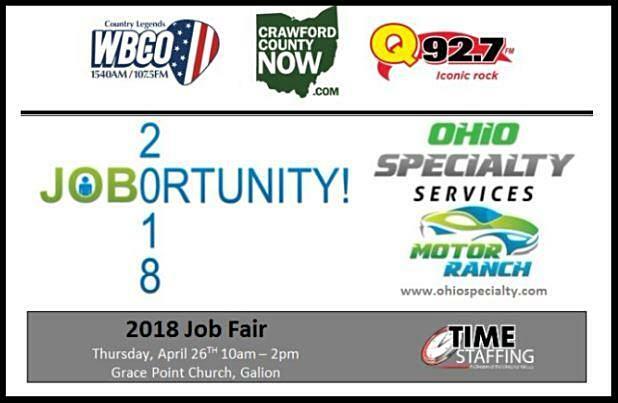 Residents in Crawford County and the surrounding areas will have the opportunity to connect with potential employers all in one location this spring during the inaugural JOBortunity job fair presented by Ohio Specialty Services Motor Ranch and North Central Ohio Media Group and co-sponsored by Time Staffing. The event at Grace Point Church is April 26 from 10 a.m. to 3 p.m. The event will also involve winning a nice used car or an option of winning $3,000 cash courtesy of Ohio Specialty Services Motor Ranch. Joe Herron, branch manager of Time Staffing in Ontario, sees this as an opportunity to make this job fair stand out from the rest . Third Fridays In Galion, or TFIG, will kick off in Uptowne Galion Friday, May 18 at 5pm. 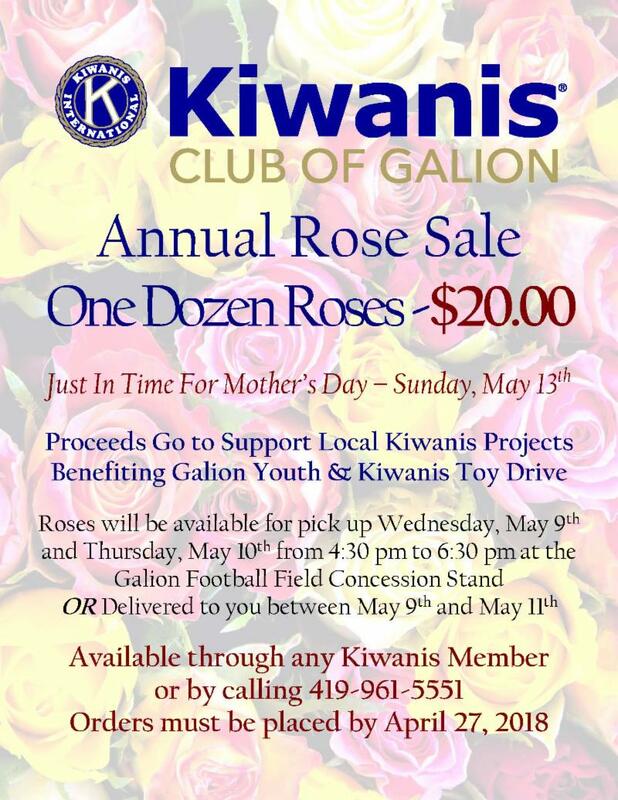 This is an opportunity for the Galion community to gather Uptowne and support local Galion merchants. The Chamber is collaborating with Uptowne businesses, merchants and other interested organizations to implement Third Fridays In Galion for the second year. 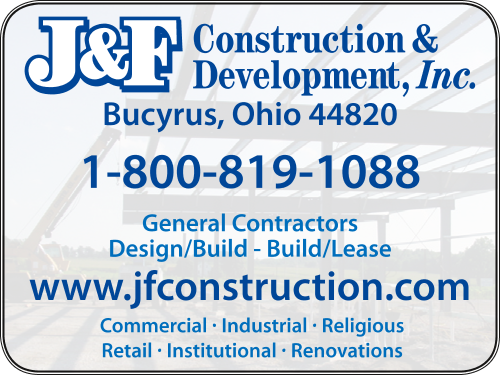 This year we are pleased to announced that Donley Ford of Galion is the sponsor of the music at the Gazebo. 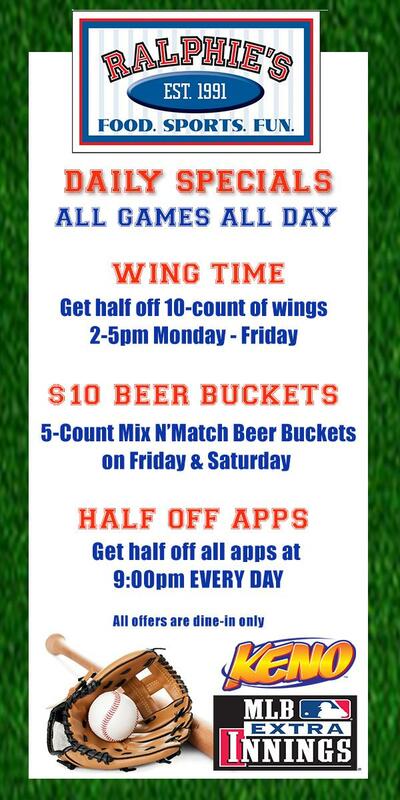 Each hour with feature local performers, focusing on family friendly entertainment. 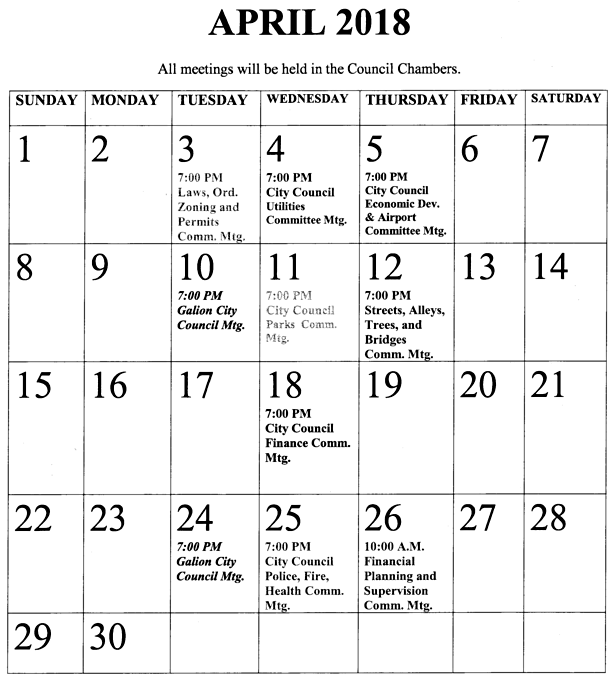 If anyone is interested in becoming a Third Friday in Galion vendor or sponsor, they can contact Miranda Jones at the Chamber office, 419-468-7737 or via email mjones@galion-crestlinechamber.org . Vendor application is available online by clicking HERE . 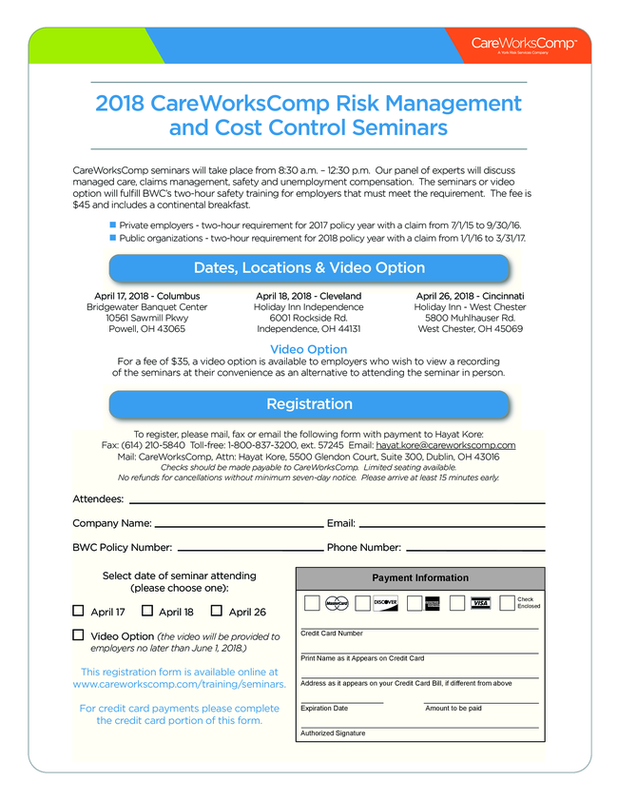 CareWorksComp Seminars : Another reminder that our 2018 workers’ comp seminars will take place next month! Please mark your calendar to attend this half-day event, and attendance will fulfill the BWC Two-Hour Group Safety Training Requirement for the 2017 policy year. Seminars are open to any Ohio Employer, whether a customer of CareWorksComp or not. 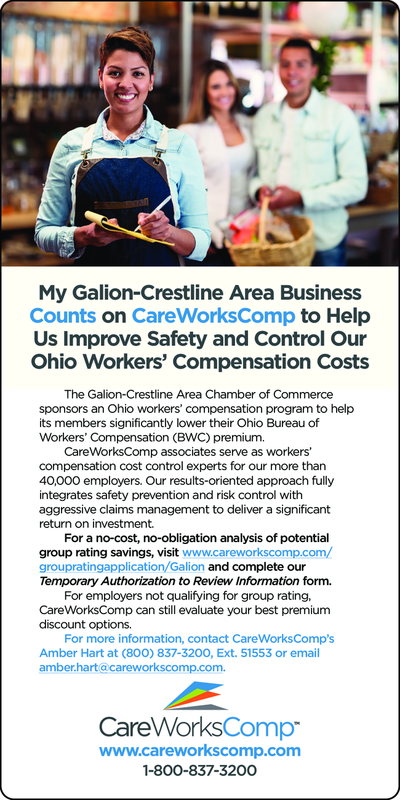 2017 Premium Installment Notifications : BWC is in the process of finalizing the manual code base rates for policy year 2018 (beginning 7/1), and they will be notifying employers of their new annual premium rates in early May. Employers should receive updated premium installment schedules at that time. This is also the time to make any changes to your installment payment plan schedule. 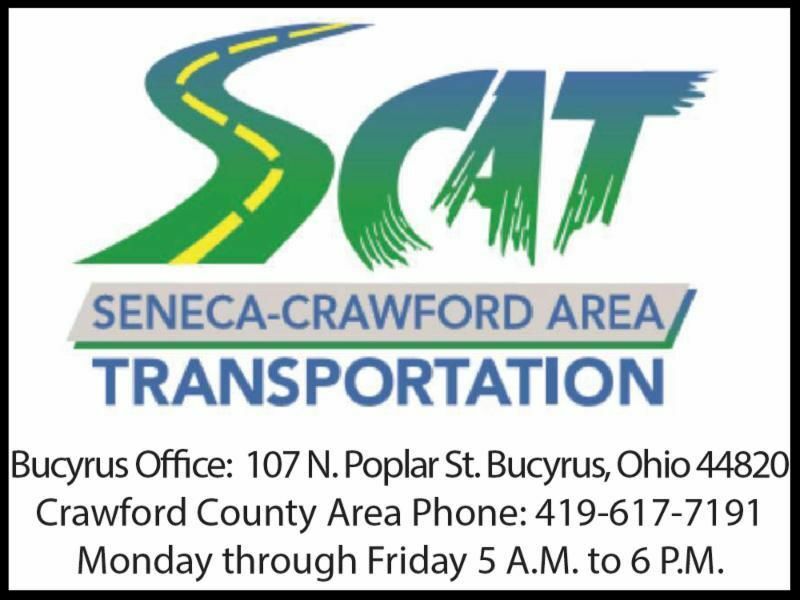 Safety Update: Please CLICK HERE for the Ohio BWC Library update.